Rudolf Rother was born in 1927 in Munich. After fighting in the war and being taken prisoner by the French, he started an apprenticeship as typesetter and publishing manager. From 1951 through 1953, he attended the "Meisterschule für Deutschlands Buchdrucker" at Munich. His journeyman years took him to Frankfurt, Zurich, Düsseldorf, New York and Springfield, Illinois. After his return to the Federal Republic of Germany in 1956, he joined the publishing company "Bergverlag Rudolf Rother", established by his father in 1920. Having taken over the publishing house in 1964, he extended the existing book series and introduced new products. He turned his enterprise into the leading publishing house for Alpine guide literature in German language. This professional challenge happily met Rother’s enthusiasm for mountain climbing and Alpine skiing. Almost every weekend and on vacations, he climbed the peaks of the Alps. In his younger years, he was eager for the challenging climbs. 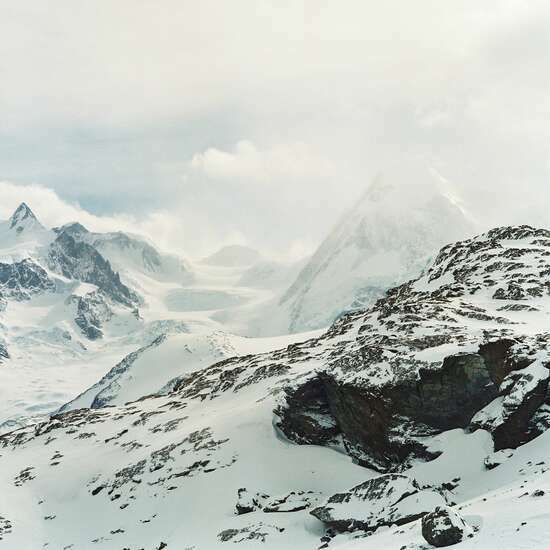 His tour book contains the longitudinal crossing of Mont Blanc and Matterhorn in the Western Alps as well as the Haute Route, the crossing of the Vallis Alps on skis. At the time, many of these tours originated at simple huts devoid of the service frills. Always an ambitious photographer, Rudolf Rother took up panorama photography in the 1960s. In addition to his Alpine gear, from then on he loaded the heavy panorama camera into his backpack. Often, he found himself hiking the same way twice or even three times to seek the appropriate weather and suitable light. During the 1960s, 70s and 80s, his collection grew to a volume of 500 panoramas. Today, Rudolf Rother lives in his Alpine “retirement-cottage” in Munich.